I feel like i’ve entered a future world where wireless internet just hovers in the atmosphere above us, keeping us eternally ‘connected’: logged-in and detached. 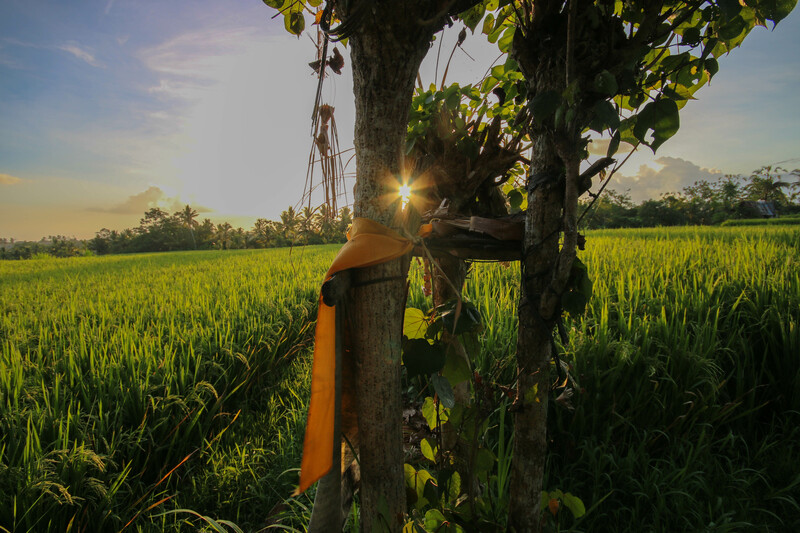 I’m in Ubud, a little town blessed with sprawling rice paddies, red-roofed Balinese houses, and gnarled trees enveloping hindu temples on an island of Indonesia that has become a playground for the rest of the world. It’s peaceful setting and ambiance being descended on by truckloads of tourists who come to experience it’s beauty spas, yoga schools, arts and culture that radiate from it’s tour operator/money changer-jammed streets, teeming with motorbikes, scooters and smart phone-weilding ‘bules’. And there is wi-fi everywhere! Don’t get me wrong. I appreciate a bit of wi-fi when I’m travelling just like the next backpacker. I couldn’t write this post without it. But I don’t need it at every establishment I visit: breakfast, lunch and dinner. But in tourist towns like this where competition for business is tough you have to have all the pulling power you can – it used tobe banana pancakes but these days it seems to be wi-fi. Everywhere I went people were attached to laptops, tablets, smart phones – doing who knows what but totally disengaged from the country they were visiting and it’s people. I went on a short trek out into the surrounding rice paddies and stopped to drink fresh juice at a restaurant where the wi-fi code was plastered in chalk across a blackboard. Every patron was engrossed in their screens. A few metres away farmers were harvesting their rice, labouring in the late afternoon heat, looking over occasionally at the white people and their devices. I left and hiked further until the restaurants petered out and the villas faded into the distance. 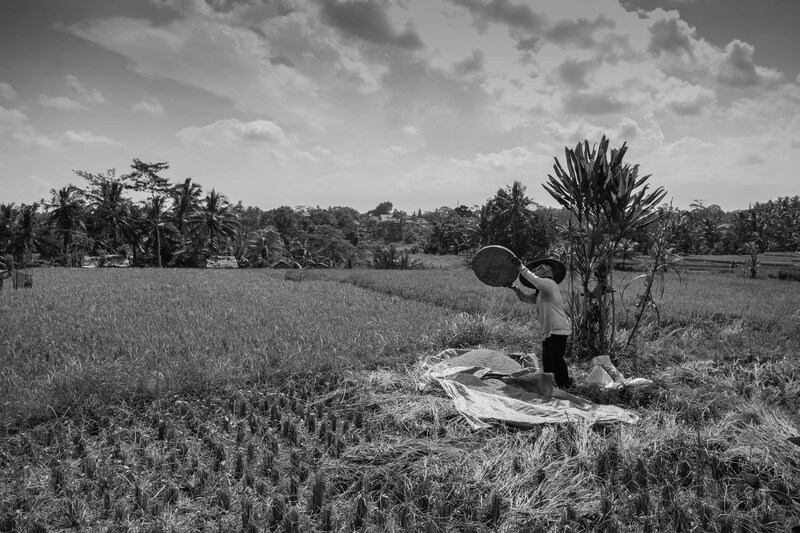 I crossed a muddy path and walked along the edge of rice paddy and plonked myself down on the terrace, hidden by the stalks of rice that sprouted either side of me. It was stunning, peaceful and wi-fi free. An old farmer spotted me and walked over, squatting down beside me, his scythe wedged into the back of his shorts. 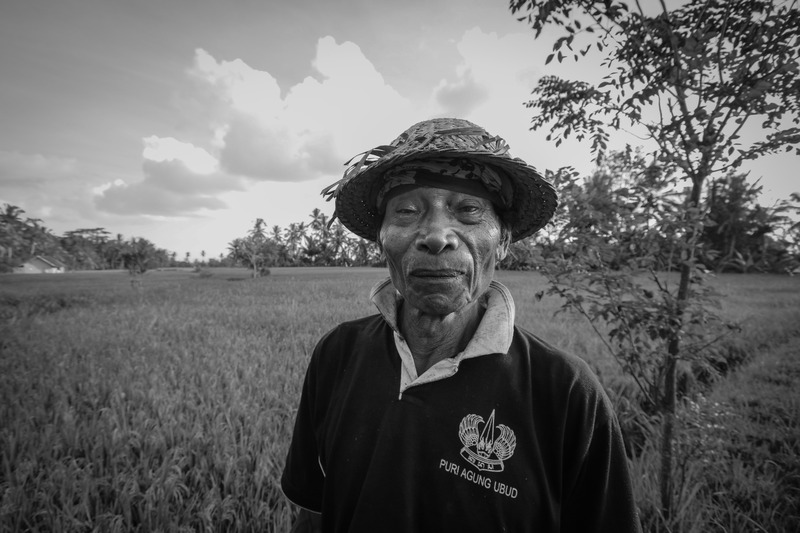 He smiled curiously and questioned me in balinese. I replied in english, not understanding what he said but presuming it was along the lines of ‘What are you doing here? There is no wi-fi you know’, and we continued back and forth like this for a bit, translating nothing but somehow understanding. It is moments like this that make me love travelling – when you connect with people based on a mutual intrigue rather than a business transaction in an area of supreme beauty. A friend of his joined us and my presence in this rice paddy brought much amusement and curiosity once again. 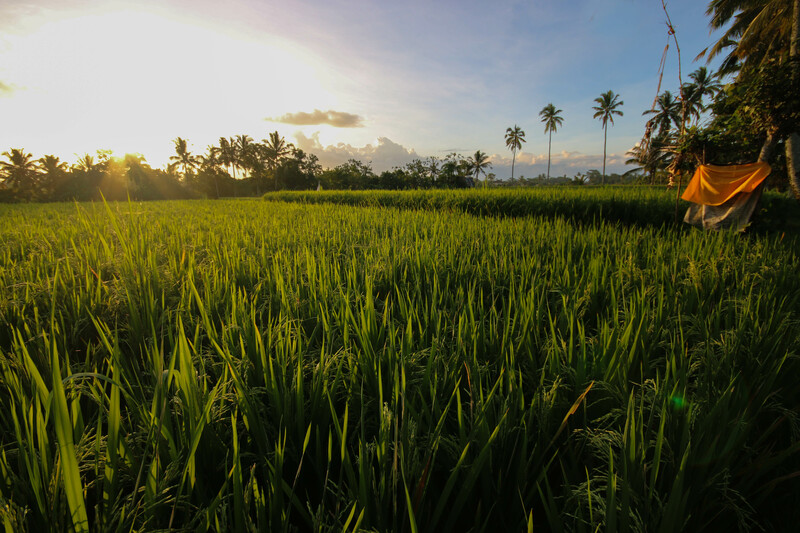 As the sun set they returned home and I left my oasis of tranquility to return to the teeming streets of Ubud. And then I turned on my laptop, connected to the wi-fi and wrote this post.